Manny Anekal, former head of global brand advertising for Zynga, has joined mobile rewards network Kiip as its chief operating officer. 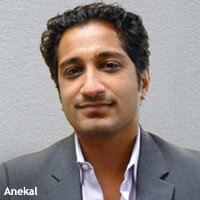 In his new role, Anekal will be charged with scaling operations as the company takes on more developers and advertisers and expands internationally. Kiip’s mobile ad network delivers free samples and discounts to mobile gamers when they reach individual "achievement levels," such as moving on to a higher level of play or completing a difficult puzzle. Advertisers to date include 1-800-Flowers.com, Dr Pepper, GNC, Sephora and vitaminwater. Since launching the network last April, Kiip founder and CEO Brian Wong said it now has more than 30 brand marketers running promotions in about 100 games, including "Island Wars," "Tap Studio 3," and "Trivia Burst." The gaming audience in that time has grown from 12 million to 50 million, with about half in the U.S. and the balance abroad. “We have scaled it to the level where we are now, where we had no choice but to bring on someone like Manny,” said Wong, citing Anekal’s 10 years’ experience with in-game advertising. At Zynga, which went public in December in a $1 billion IPO, Anekal led the brand integration and advertising efforts with major brands for the company’s best-known social games, like "FarmVille" and "CityVille." Prior to Zynga, he led global ad operations at Electronic Arts, as well as at Massive, an in-game advertising start-up acquired by Microsoft. Helping to accelerate the expansion of Kiip’s inventory will be one of the new COO’s immediate tasks as the company seeks to keep up with advertiser demand. In that vein, Kiip is launching an automatic on-boarding feature for developers to integrate games more easily with its network. Wong also hinted that the company plans to bring sponsored offers to other types of mobile content beyond games. More broadly, he believes mobile is where gaming is headed. “Having seen the movement from PC to console to casual to social, mobile is really the next big thing. As smartphone penetration increases, connected TVs, tablets, mobile gaming really is the future,” said Anekal. Could a relationship between Zynga and Kiip be far off? Anekal isn’t making any promises, but said it would be a “fantastic opportunity” to bring together Kiip’s ad platform with Zynga’s growing roster of mobile games. Kiip still has a long way to go to catch Zynga in raising capital, but it’s begun with $4.3 million in venture backing from prominent investors, including Hummer Winblad Venture Partners, True Ventures, and Verizon Ventures. In addition to its San Francisco headquarters, Kiip has also opened offices in New York and London. 1 comment about "Kiip Poaches Zynga Ad Exec". Peter Vogel from Plink, February 22, 2012 at 10:36 a.m.
Congrats to Kiip and Manny. Looks like a great fit! I love the model - tying rewards and free samples to achievement levels. Very smart.